Zhou Xun: Zhou Xun's short break ! Yesterday (January 6th,2006) Zhou Xun, her boyfriend Li Da Qi and her co-star in The Banquet Dianel Wu with his girl friend Lisa S had a short break. Two couples went to a local theater in Bejing to enjoy an opera and were recognized by audiences. Zhou Xun and Dianel Wu is filming The Banquet , a Feng Xiao Gang film in Bejing. 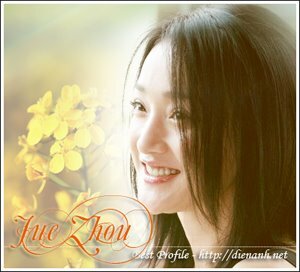 After finishing promoted jouney for Perhaps Love, Zhou Xun came back to The Banquet's film studio on December 30 2005 to continue her lastest work.